For S/S 2017, Destani Hoffman presents an eight piece capsule collection of evening wear. The collection is other-worldly in its inspiration, with a muted color palette of ivory, bronze, gold, pink and pale blues in textured fabrics of tulle chiffon and organza. 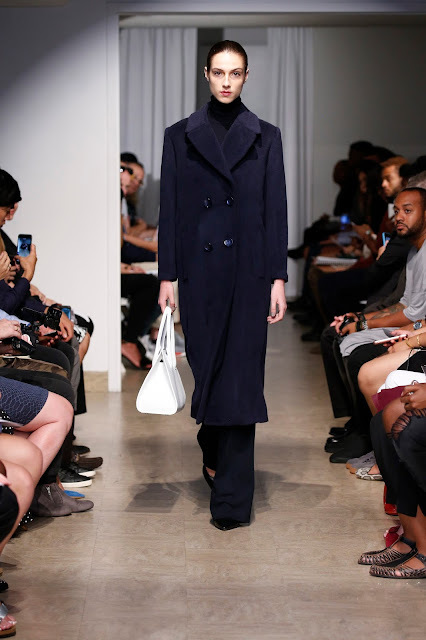 Shaped around the principal of nomadism, Nicholas K built a brand that could be worn beyond each season and could be integrated seamlessly into the lives of consumers whether it was a busy day at the office, a chic night out or a weekend getaway. Branded the “Urban Nomad” Nicholas K collection is influenced by the street and the utilitarian brilliance of uniforms to invent a new platform of luxurious everyday sportswear with an urban edge. A member of the Council of Fashion Designers of America since 2009 and opening show of New York Fashion Week, Nicholas K is consistently featured in the most coveted international publications around the globe. Over the weekend, we had a family day and went to visit the Academy of Natural Sciences of Drexel University. It was "Museum Day" and admission was free all day, so we took advantage and went early before the crowds poured in. 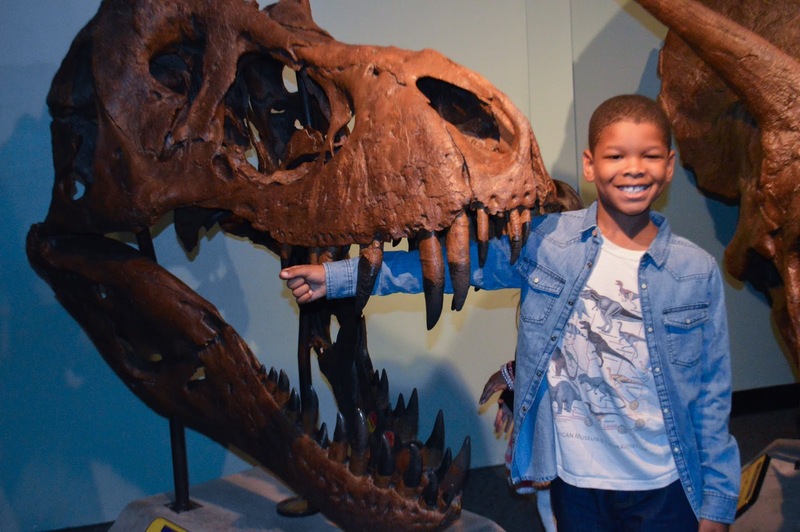 Darius is crazy about Dinosaurs, (see more of his dinosaur adventures here) so of course we had to stop in the Dinosaurs Unearthed Exhibit to get up close and personal. This weekend, the Philadelphia area got it's first real taste of Fall weather, meaning it was cool enough to keep my cardigan on the entire day. However, the rapid change in weather can really mess with our skin as well. For that reason it's nice to treat our skin to a mask every now and then. MDSUN recently sent me their Hydro-Recovery Mask to try and here's what I love about it. Cantu debuted at their very first NYFW show this September for the Tracy Reese SS’17 presentation. The show featured a mix of models paired with inspirational and noteworthy, real women such as Bethann Hardison and Sasheer Zamata. Using Cantu products, lead stylist Bok-Hee created an ethereal, whimsical half-up messy bun on models, while utilizing the natural textures of each of the real women to embrace their own style! Very soon, my family will be taking our annual trip to Orlando, FL! 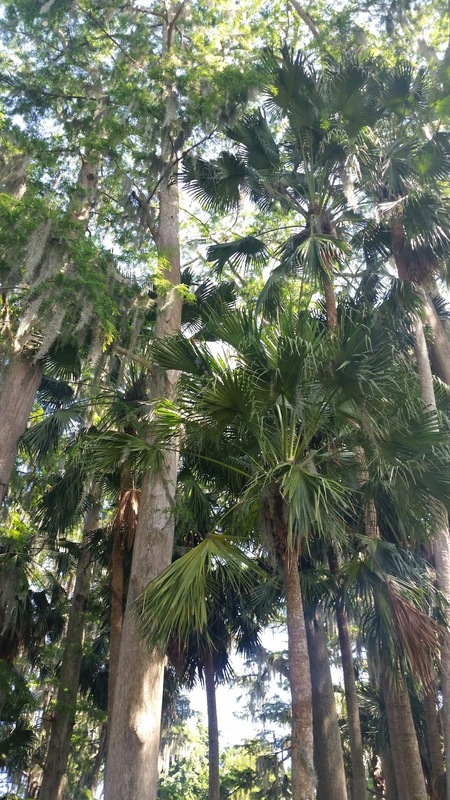 It's one of my favorite places to visit because our whole family can get together, act like a kid again, experience new foods during The Food and Wine Festival and just relax! I know I haven't shared my family vacations on Fashion of Philly, but I think it would be cool to show why we always go to Orlando. Here are just a few of my favorite moments. Whenever we find sometime in between shows, we try to refuel and grab something to eat! Over the weekend during New York Fashion Week, Tommy Bahama invited us to grab a bite of their delicious food and tasty drinks. The restaurant has a pretty chill vibe, which you could imagine, if you're familiar with the brand. While you're enjoying your meal, you can can shop the latest collection without lifting a hanger. Sounds like my kind of place! 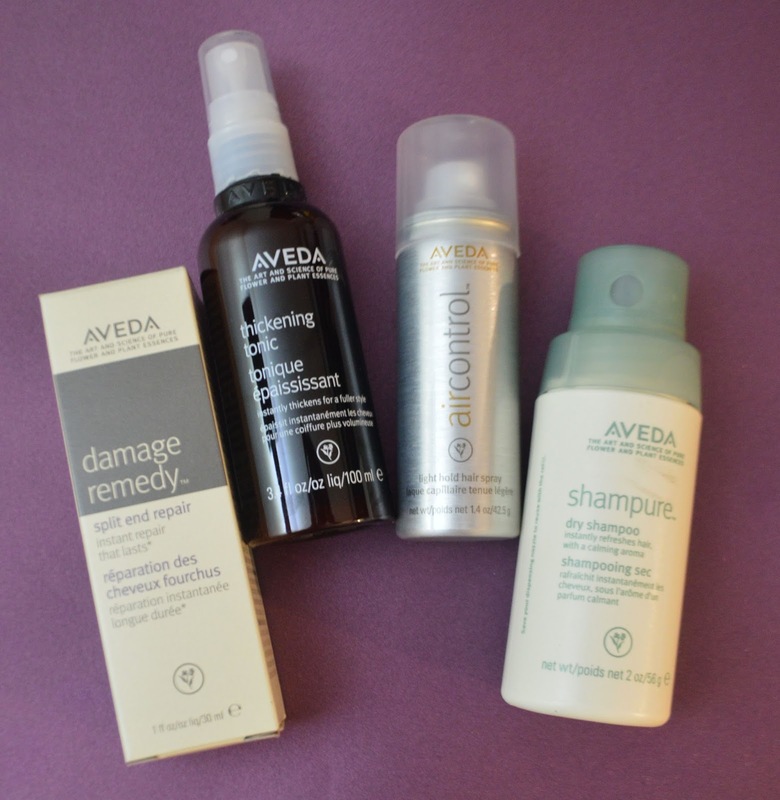 Aveda makes some pretty amazing hair products! My past favorites have been the Dry Remedy Daily Moisturizing Oil and the Control Force Firm Hair Spray, but my friends at Aveda shared some of their fall favorites for me to try. I'm most excited about the Damage Remedy Split End Repair because not only does it prevent split ends from forming, but it also binds them back together helping to smooth and seal hair fibers. I'm also very interested in the Thickening Tonic. My first encounter with this product was backstage at the Charles Youssef presentation during NYFW last season (seen here). It gets sprayed on damp hair before blow drying to get it added volume. Have you tried any of these products before? Which one is your favorite? When fashion doubles as a good deed it feels extra rewarding and if you agree, you won't want to miss this next event at King of Prussia Mall! On Sunday, September 25, join the King of Prussia Mal along with special guest, Skinnygirl founder and TV personality, Bethenny Frankel for an Evening of Giving, benefiting the Abramson Cancer Center! Guest will be invited to sip and taste the mouth-watering selections from the Savor King of Prussia restaurants while shopping and mingling all for a great cause. Bethenny Frankel will be there to host a fun Q&A and autograph session as well! "This post is sponsored by EverywhereAgency on behalf of Macy's; however, all thoughts and opinions are my own." During New York Fashion Week, we were invited to check out the Fashion Palette: Australia Fashion Show! In this video, get a glimpse of the amazing designs from Australian designer, Con Ilio! Since September weather can be a lil' warm especially in the beginning, I aimed for a comfortable outfit to keep me cool while hitting the streets for NYFW. Shorts felt necessary and my mid-length shorts from American Eagle are one of my favs. I paired it with a fun tee from JazminesBoutique.com and a thrifted sleeveless vest. On this day, we had a lot of running around to do, so I opted for the most comfortable footwear option, a low top pair of Chuck Taylors. It's easy to tell that designer, Katie Gallagher loves the color black. The Spring/Summer 2017 collection appropriately name Eclipse, is her third New York Fashion Week presentation using only the dark, mysterious, but secretive color. Macadamia Professional International Creative Director and celebrity stylist, Giannandrea, kicked off NYFW with a showstopping high pony at Nicholas K SS ‘17. Keep reading to learn how to recreate this amazing look! 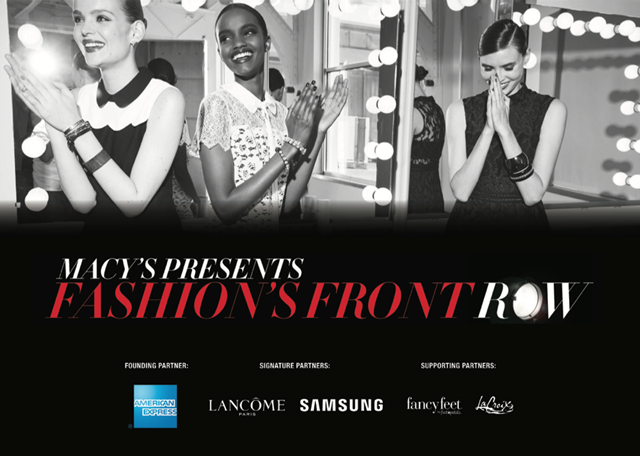 "This post is sponsored by EverywhereAgency on behalf of Macy's; however, all thoughts and opinions are my own. Denibi is a fashion house born and based in Barcelona specializing in high quality leather goods, ready-to-wear, and furniture inspired by the city of Barcelona, the essence of traveling, African heritage and minimalism. The name "Denibi" symbolizes an island type of utopia, where creatives are able to push themselves to the fullest of their artistic abilities in the comfort of like minds and limitless possibility through design. The architecture and aesthetic of the island is represented through the many tones of pastel colors and whites throughout each collection. 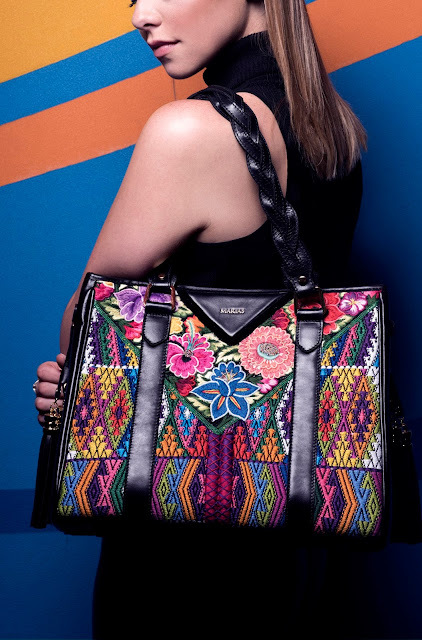 Founded by former Miss Guatemala Alida Boer, Maria's is quickly becoming one of the premier handbag brands of Guatemala, which has recently launched in the US. In addition to the work it does by bringing attention to the rich cultural and textile heritage of Guatemala, Maria's also addresses the socio-economical struggles of the nation by creating a platform for its women, many of whom fall into wedlock at an early age and are subjected to domestic violence. Maria's offer's these women an opportunity and a platform to become financially independent and self-sufficient through employment, whilst also preserving the ancient Guatamalan craft of textile-making within the marketplace. 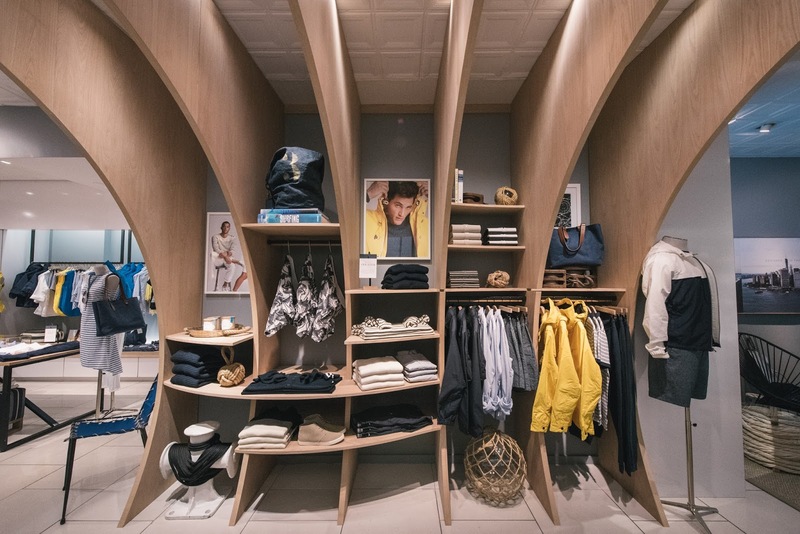 En lieu of NYFW coming up this week, this edition of Fashion Destination will feature the new Nautica So Ho Boutique Flagship Store located on 101 Prince Street.